As you’ll read below we did not rely heavily on any of the various paper maps that are available for the Tour of Mont Blanc. However, that doesn’t mean we didn’t bring them with us. While technology has done a tremendous amount to make navigating while hiking easier, there is simply no replacement for carrying a physical map with you. If that iPhone you brought runs out of battery or you drop it in a puddle you’ll be glad you had your handy paper maps to rely on. We’d recommend bringing the IGN 3630 OT Chamonix and IGN 3531 ET St-Gervais along as they provide a detailed view of the TMB route. A weather proof carrying case like this one wouldn’t hurt to have either. Now that you’ve got your maps safely tucked away in case of emergency let’s get on to the focus of this article, which is to show you how to harness the power of your smartphone to navigate your way to a successful TMB experience. Even better, you can do it all without relying on cell service! 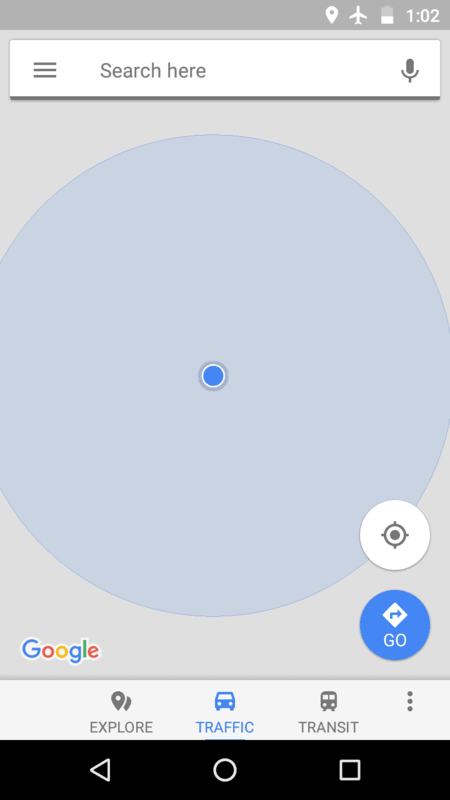 While the issue of a background map not displaying isn’t typically a problem in cities or towns where ample cell phone service (and thus internet connectivity) exists, it can be a huge problem when you’re, say, on top of a high mountain pass on the TMB without service. The solution? GPS Navigation apps that allow for downloadable background maps. 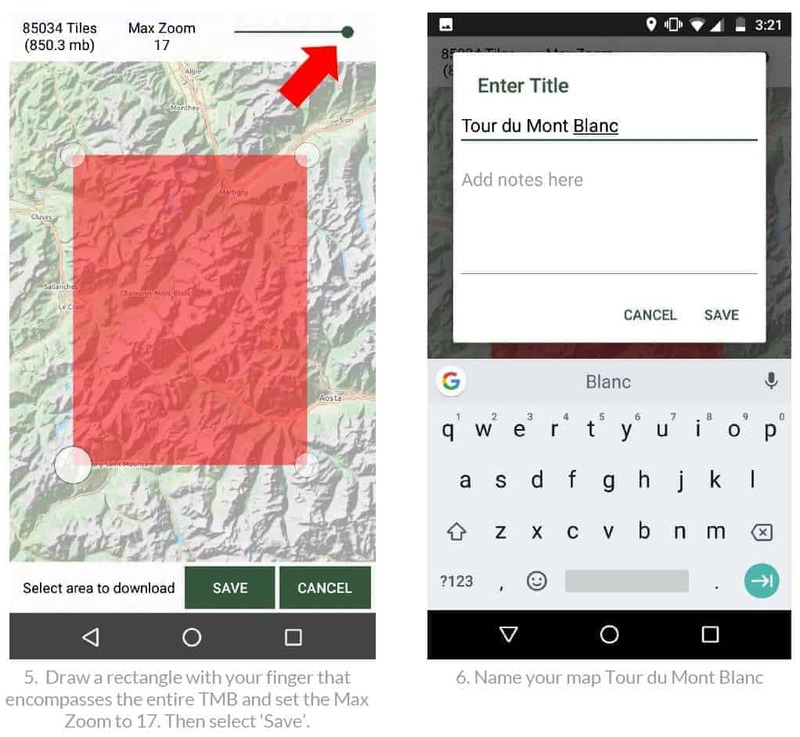 These apps allow you to select a predefined area-in our case the entirety of the Tour of Mont Blanc-and download the background map to your phone. This allows you to access the map data without a cell phone connection and still know exactly where you are! Even though your phone is not connected to cell service or internet, the GPS will still work without incurring any “roaming” charges. Pretty cool, huh? I’ll show you exactly how we did this for the TMB below. We used the app Gaia GPS downloaded on a Motorola G4 Play. The G4 is a great budget smartphone for traveling since it can be used on a variety of networks and has great battery life. You’ll have to pay for a premium membership ($19.99/year) in order to be able to download and save maps, but this is well worth it for the ability to know exactly where you are on the trail. 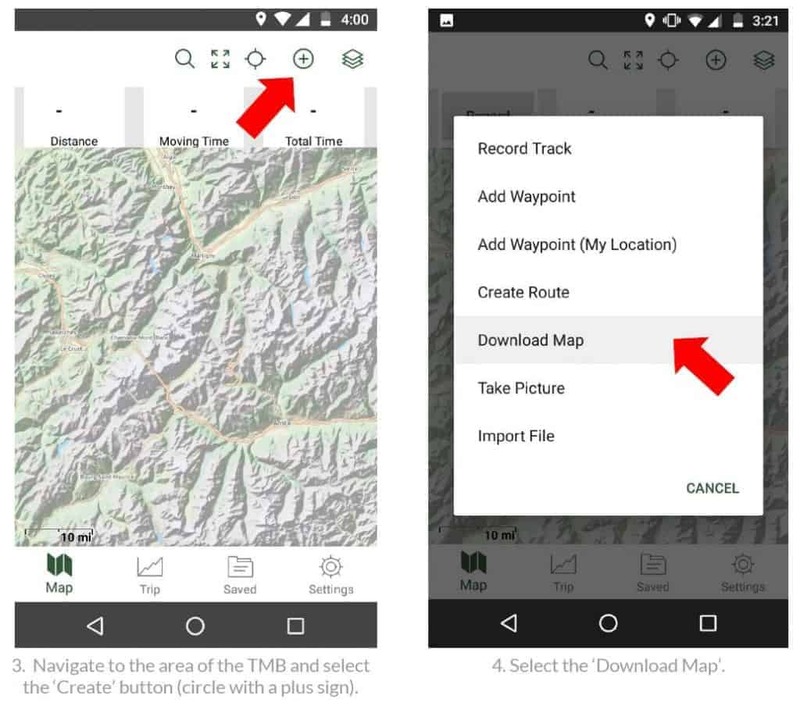 Here are the step-by-step instructions for downloading the Tour du Mont Blanc base maps in Gaia GPS:. When you first open Gaia GPS you’ll want to select your base map. This will be the background map that you will eventually download and use to navigate, even without cell phone service. There are tons of background maps available for free download, but I found “Outdoor” layer to be the absolute best for the TMB. To choose this map source, simply select the simply select the layers icon in the top right corner and select ‘Outdoors’. 7. Wait for your map to download and then you’re done! As you can see here, the route for the TMB is clearly shown for easy navigation! 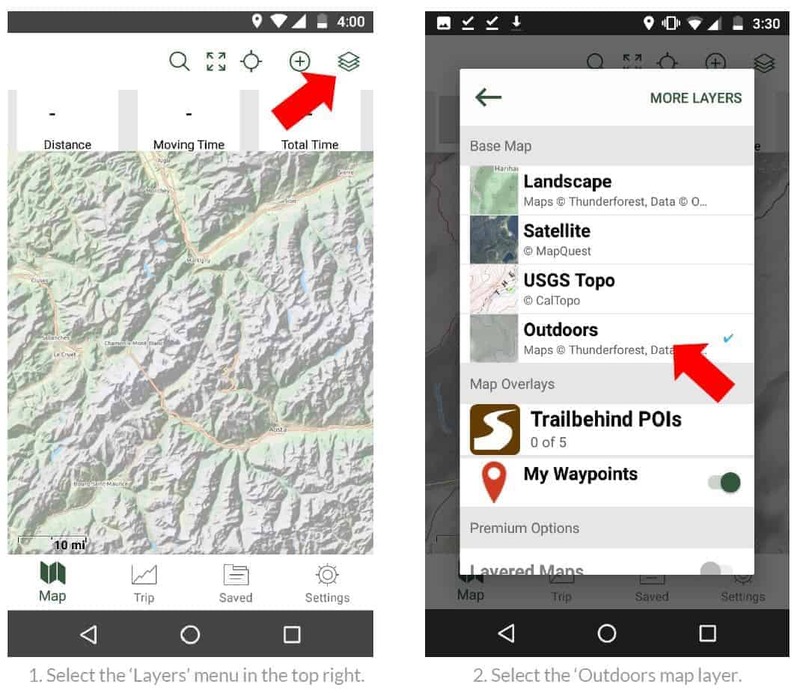 The final step for navigating like a pro on the TMB is to know how to utilize the Gaia GPS app when you are out on the trail. To view your current location, simply select the location button on the top menu. 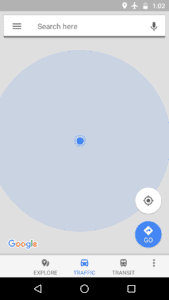 At this point your phone will activate its GPS, and if you have a fairly clear view of the sky in a few moments it will show you exactly where you are by displaying a yellow arrow. Use this whenever you want to see how far you’ve gone, how much further you have left until your next stop, or if a fork in the road has you questioning the correct way. NOTE: The yellow arrow will not necessarily point towards the direction you are actually facing. This is important to remember when you are orienting yourself! Check out our downloadable TMB campground locations! As mentioned above, if you’re using this navigation method in conjunction with our Guide to Camping on the Tour of Mont Blanc we want to provide you with some additional resources. Check out our post on How to find all of your campgrounds on the TMB to learn how to use our customized campground location data in the Gaia GPS app.